Leviton Network Solutions supports commercial and residential networks around the globe with an unparalleled selection of high-performance network infrastructure products and systems. From the server room to the living room, their proven end-to-end performance keeps people connected. But it’s not just products that make Leviton stand out. It’s also peace of mind. 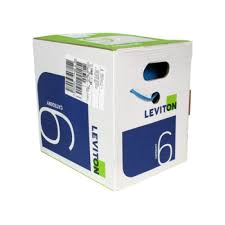 Iridium Solutions and Leviton work together to deliver quality designs and installations. We stand behind every installation. We offer industry-leading performance with unbeatable service and support throughout the life of your structured cabling system. Add in the reassurance that comes from working with a stable, century-old supplier and you get far and away the highest return on investment in the industry. Iridium Solutions is proud to be both an active distributor as well as a certified installer for Leviton Network Solutions products. Our partnership allows us to take on any size project from the design stage all the way through implementation and support. • Proudly manufactured in the U.S. The SDX System, part of the Opt-X family of fiber optic solutions, is a flexible solution designed for easy installation and maintenance. 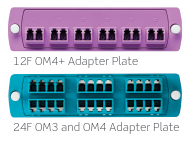 Whether it’s the 2000i for data centers or 1000i and 500i for medium and small enterprise applications, each comes packed with features for better cable organization and maintainability. 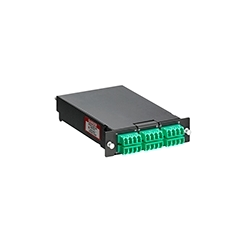 In addition, precision-molded SDX adapter plates, MTP® cassettes, and cable assemblies offer the flexible connection and storage options to meet any project need. 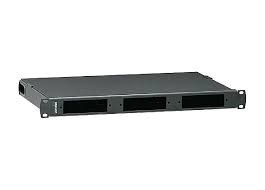 Designed for enterprise and data center applications, the Opt-X 2000i SDX Enclosure combines all our most popular features into one eye-catching platform. 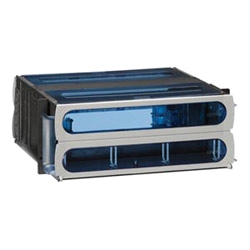 These durable enclosures allow for easy field termination of connectors, splicing, or patching pre-terminated plug-n-play solutions. 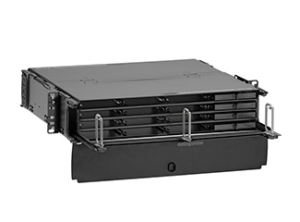 Ideal for small enterprise applications, the economical 500i Rack-Mount Enclosure features a one-piece removable cover for complete accessibility to the back of the enclosure.